The most compact foldable solar charger in PowerFilm's line of chargers built for versatility and flexibility in application. 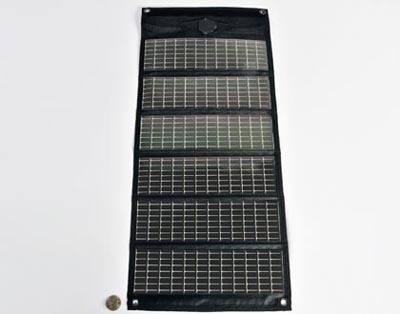 The 5W foldable solar charger provides you with the perfect starting point for solar charging small electronic devices directly using the DC power or by utilizing one of many available accessories. Unlike "CIGS" solar technology, there is no need for "sun-soaking" the panel for optimum performance after periods of storage - so PowerFilm solar provides critical power immediately.